Two of the most prolific strike forces in European football come together on Wednesday evening as Paris Saint Germain host Liverpool at the Parc de Princes for a crunch UEFA Champions League clash. Both sides could still potentially face elimination from the competition but could also top the group ahead of Napoli, making the importance of a positive result even more imperative in the French capital. The two sides played out an entertaining 3-2 result the last they met at Anfield, and another win could be crucial. Despite having won that game, Jurgen Klopp’s men are slight underdogs and can be backed at 21/10 with Paddy Power. Meanwhile, the hosts are available at 11/10, whilst a draw is priced at 11/4. Despite Liverpool’s defence having been far stronger this year, conceding only 12 goals in 18 games in all competitions, they will of course have to keep a close eye on a talented French defence. Boasting the likes of Neymar, Edinson Cavani and Kylian Mbappe, the Parisians have already netted an eye-watering 46 goals in league action. 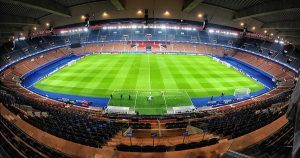 As a matter of fact, they have averaged 3.5 goals per game at the Parc de Princes throughout their last 12 games. They are at 23/10 with Coral to repeat this feat against last season’s UEFA Champions League beaten finalists. Whilst the winner of this clash will be in an excellent position to qualify, the loser is at real threat of dropping out of the competition altogether. Liverpool remain just behind Napoli as favourites to qualify at 4/9. Tuchel’s men sit just behind at 8/13. One deciding factor between the two could be which attack clicks into gear the quickest. Liverpool come into the match just edging ahead on the all-time record having claimed two wins and one defeat in the three matches between. The joint-second highest goalscorer in the Champions League last season, Mo Salah, is one of the favourites to open the scoring and can be backed at 11/2 with BetVictor. Elsewhere, Kylian Mbappe is one of the favourites to score the first goal of the game for PSG and is priced at 19/4. However, this would assume that the Frenchman is able to take part in the match. Him and Brazilian superstar Neymar suffered injuries on international duty and were ruled out of the weekend’s victory over Toulouse. However, Tuchel has confirmed that the pair could potentially return against Liverpool. Meanwhile, Klopp could welcome back Joe Gomez after he suffered a slight ankle injury. However, long-term absentees Alex Oxlade-Chamberlain and Adam Lallana remain restricted to the sidelines.